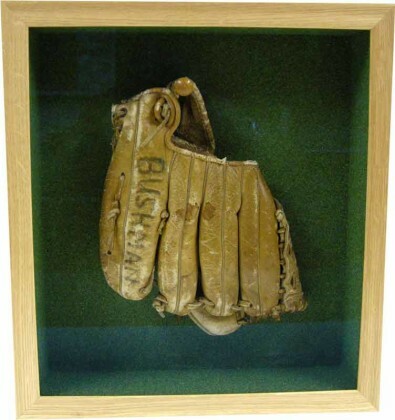 The shadow box frame is thought to borne from an old time naval tradition. Upon retiring from the sea, the officer would receive a shadow box frame with their medals, trinkets from ports of call, and other precious memorabilia arranged inside. This would signify their life on the ship as they left for land for the last time. Eventually other military organizations began to incorporate the same practice and the lovely shadow box frame became a standard for displaying a theme, a piece of a lifetime, or an accomplishment. Incorporate a Shadow Box Frame into your decor to elegantly tell a story. Shadow box frames are not just for the military anymore. 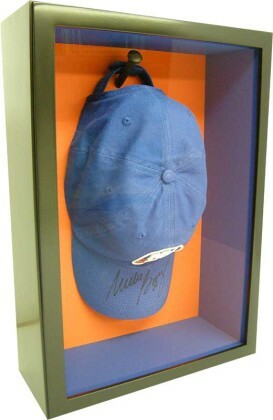 There’s hundreds of way the shadow box can be made in order to reflect the flavor, color, and message of the contents. One way is to honor your ancestry with various trinkets and photos collected over the years. One enterprising woman came to us with a tiny wooden tree (I think used for jewelry) that had a dozen or so photos hanging off. The photos were inside tiny oval ornate frames like you’d find on a charm bracelet. It was absolutely darling! We built her a shadow box frame that complemented her home decor and added in some fabric fall leaves on the bottom. The whole project was an absolute pleasure. We knew we were making a family heirloom that would get passed on for generations. Another client of ours is a total Mets fan. We’d wager he’s among the top fans the Mets have ever had. He commissioned us to build some shadow box frames to ensconce some memorabilia that was too delicate to leave out (see below). Remember a shadow box frame is not only a lovely piece of artwork, it is also a way to preserve your pieces from the everyday ravages of moisture, dryness, molds, smoke and other toxins in the air. 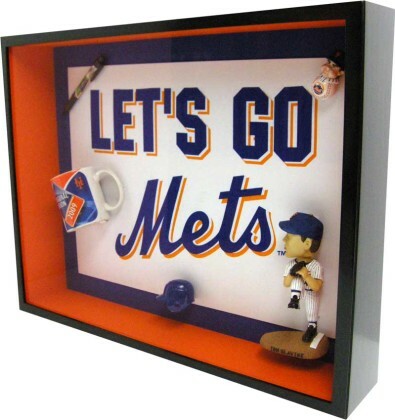 Images and Details are experts at creating shadow box frames. We listen to your needs and we respond with ideas and suggestion on building the best piece of artwork to represent your idea. Give us a call, or stop by to browse. We’d love to have you at our shoppe.